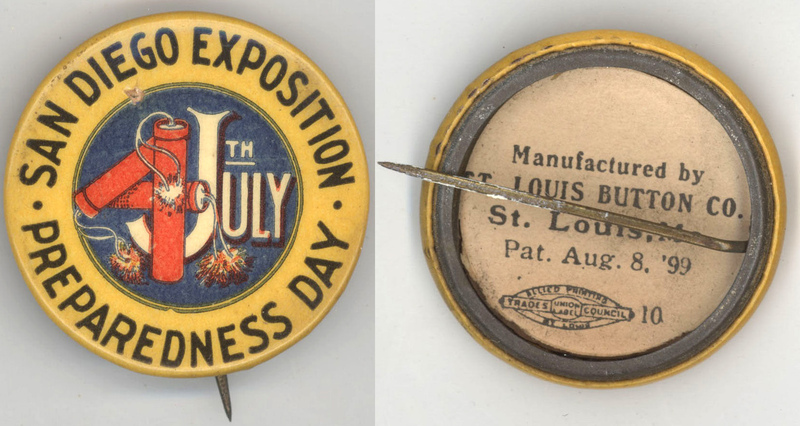 Description: pinback for Preparedness Day, July 4, 1916. This civilian preparedness parade proceeded from Broadway downtown to the Plaza de Panama in Balboa Park. As war raged in Europe, preparation for war was a controversial issue in the U.S. Creator: St. Louis Button Co.